Ekiti State University on Saturday 10th November, 2018 matriculated one hundred and twenty students into different degree courses in their Sandwich Program with Royal City College of Education, Iyesin Ota in Ogun State for 2018/2019 academic sessions. 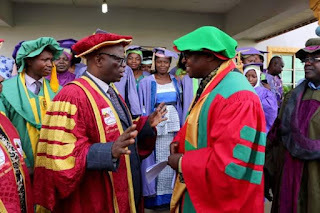 Performing the ceremony, EKSU Vice Chancellor, Prof. Samuel Oye Bandele, urged the students to be committed to their studies. He also encouraged them to eschew acts that are inimical to their academic progress. He further reiterated the premium academic excellence in Ekiti State University, “I hereby assure all matriculating students that the University will give you a quality education deserving of any tertiary institution in the country. I want to reiterate that committed and hard working students would complete his or her course at the record time or time stipulated for the programme. As I assure that the tradition now obtainable in Ekiti State University is for graduates to collect their certificates during the convocation day, you should strive on your own part to meet up with the demands of your academic responsibility”. According to Prof. Bandele, “the secret of success lies in their strong desire to always maintain high academic standards and moral probity. Therefore, for you to fit in as members of this academic community, you are expected to abide by the provisions of the oath you sworn to for the avoidance of doubt, you should not engage in any activity that can bring your names and that of the University into disrepute. At this juncture, let me emphasize that under no circumstance should you be involved in examination malpractice, cultism, drug-abuse and other anti-social behaviours that may likely jeopardize your career in the University”. Royal City College of Education is the pioneer Christian College of Education in Nigeria, founded by Bishop Dr. Tom Samson of Christ Royal Family International Church. Over the years, the College has churned out several NCE holders who are gainfully employed in various institutions as professional teachers. He said “today is very historic in the history of Ekiti State University, I want to say emphatically that one institution that has blazed the trail in Teacher’s education is Royal City College of Education, when we came in and saw the environment, we were so encouraged that an individual proprietor can put up this kind of beautiful structures and conducive environment for learning, then there is still hope for this our country. I sincerely congratulate this Institution and we are happy to Matriculate our first set of students here today; I can see future here, I can see brightness just as I said in my very short remark, I see progress here and by the grace of God in the next four or five years we will be back to convocate our first set of graduates from Royal City College of Education. 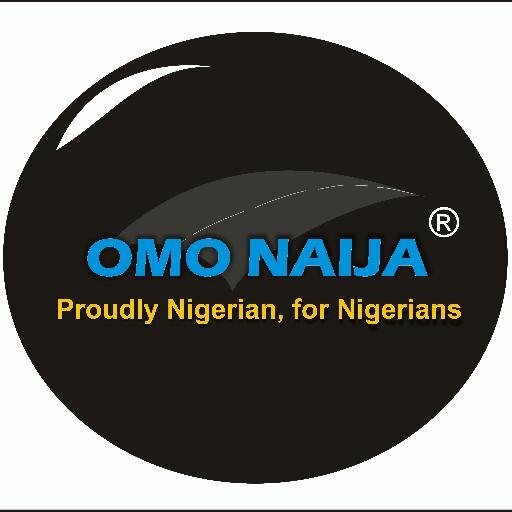 “I want to say very emphatically that in our University we don’t compromise standard, before we came here at all, the Senate of EKSU have sent several committee members made up of top Professors to come and evaluate the facilities, if they did not meet up with our standard in terms of equipments and quality lecturers we won’t be here today and my coming here personally is to attest to the fact that this College have the resources that is sufficient enough to run a degree program. There are adequate infrastructural and human resources to run the program and we are happy about it”, he concludes. However, the elated Bishop (Dr.) Tom Samson, while fielding questions from newsmen said, “Education without Christ amounts to vanity and that in Christ Royal Family, the core value of the ministry is to impact the society through affordable and quality education laced with the fear of God right from the formative years to higher education. To bring up students that will go into the larger society prepared to change the world and discharge their assignments with the fear of God”. Royal City College of Education is now fully accredited in partnership with Ekiti State University to run Degree Courses in Education.